Join a dedicated team of friendly and helpful staff and volunteers, and contribute massively to our work. We are particularly keen to find volunteers to work within our events department and to help host our resident coffee mornings. If you have any queries with regards to voluntary work at the charity, please call 01244 409100 or email volunteering@savethefamily.uk.com. If you are interested in applying for voluntary work please note that all successful applicants will need to supply two references and will complete a DBS check. Are you a business or organisation? 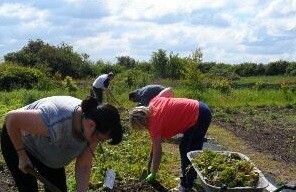 Why not join us for one of our Volunteer Days?!? If you are looking to fulfil your Corporate Responsibility and want to help Save the Family, give us a call on 01244 409100 or e-mail info@savethefamily.uk.com. Save the Family host student work-based learning placements throughout the year. 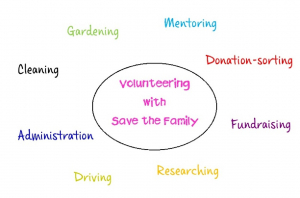 If you are interested in doing your placement with us please send a CV and cover letter explaining why you’d like to do your placement with Save the Family to volunteering@savethefamily.uk.com. “It is important to me to try to help others less fortunate”. Margaret Walker, Admin Volunteer in the Fundraising Department, has been been volunteering at Save the Family for over 10 years! She uses her office skills to write thank you letters and maintain the Save the Family’s Supporters Database. 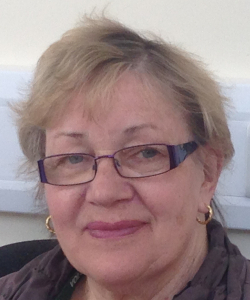 She has also helped out in reception providing a front of house presence for residents, volunteers and visitors. She is “happy to help people who really need it” and spends her time creating items for Save the Family and helping residents sew things. Camille also helps to sell items on EBay for Save the Family. Volunteering with Save the Family since Easter 2016, John Clee (Workshop Volunteer ) thoroughly enjoys his time with us. “Volunteering fits with my personality and skill set and I am happy to share my skills with others. 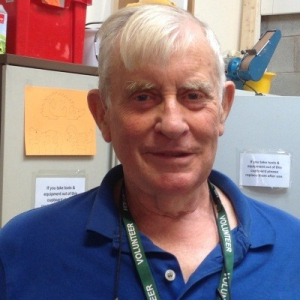 I volunteer in the workshop working alongside residents to fix and make things basically – anything the residents want to do,“ says John. Roger Coupe (Workshop Volunteer) has been volunteering with Save the Family since January 2016 and really loves interacting with our residents especially young people. Roger has a lifetime of experience working with young people. As the former Apprentice Training Manager for ICI Northwest, and then latterly for TTE, he used to recruit up to 160 apprentices a year for 8 sites across the northwest region. “I tried to focus on their personal development so would send them on out-of-bound courses because I felt it was all about developing the whole person. 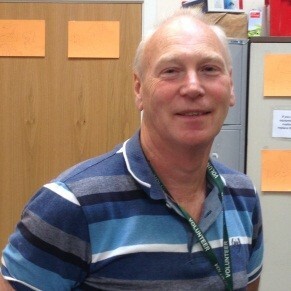 That’s what I also bring to my volunteering – whole person development,” says Roger. 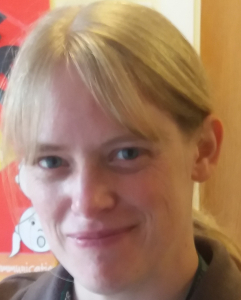 Volunteering at Save the Family since 2012 – soon after Cotton Hall farm opened – Kerrie Pimm runs a ‘homework club’ for school-aged children once a week – one afternoon to early evening after school. Children are invited to come and bring any work they need help with which can range from reading to maths to whole projects. If children don’t have homework they are able to come and play games or just chat about things if they want to. 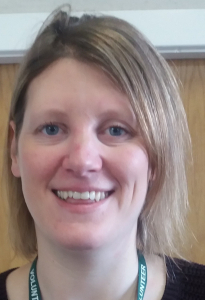 Kerrie is a member of Girlguiding and helps to run a Rainbow and Brownie unit. She also enjoys watching a wide variety of sports, reading (she is part of Waverton Good Read) and walking, gardening and generally being outside – weather permitting! Hayley Cadman (Volunteer Family Mentor) has been volunteering with Save the Family since November 2016. She volunteers because she likes to use her spare time more usefully and for the good of others. As a Volunteer Family Mentor, Hayley spends time getting to know residents and currently helps out with coffee mornings and is part of the Healthy Eating Group. What’s important to Hayley? Food and friendships. “I think making and eating good food can improve your life as well as your health and having good friends and family who you can talk to and have fun with is important. 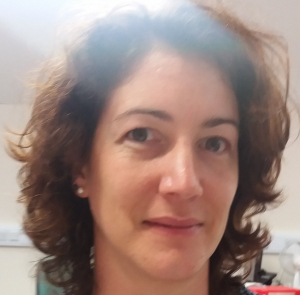 The best friends are the ones you can be silliest with.” Hayley works fulltime alongside volunteering and still finds the time to enjoy cooking, baking (“badly”), Pilates, running, music and going to the cinema – a busy lady indeed!